They called themselves Hahny’s Break Crew, Dynamics, Big City Breakers, Stretch Breakers (by mistake, because nobody knew how to spell “scratch”), DownTown Lyrics, or Ronny’s Break System: break-dancers in the former GDR. A single body-wave – seen in the early 80’s in a program presented by West-German public broadcaster ZDF – became an entire movement. Teenagers started to perform out on the streets, wearing self-made Puma track-suits, painted fake Adidas trainers, and created their ‘home-made’ music. 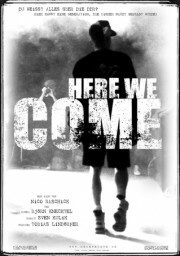 HERE WE COME presents a whole range of archive material worth seeing, structured by the memories of protagonists and enriched by some animated scenes. A film like a loop: elegant and fast. It is also rare to see such likable protagonists, who remained true to themselves and are obviously having a lot of fun during filming. Listen, all of you Knoopists’ and dedicated ‘history processors’: this is how to tell GDR!